The size of an entire city block in Sydney, One Central Park is a mixed-use precinct combining premium residential and commercial accommodation with open public spaces. And it is all powered by one of Australia’s largest central energy plants. A joint venture between Frasers Property Australia and Sekisui House, the Central Park development is a $2 billion mixed-use urban regeneration project within a few minutes’ walk of Sydney’s Central Railway Station and in the heart of the city’s education precinct. Occupying 5.8 hectares in Chippendale, the site was home to the Kent Street Brewery for over 150 years before Frasers Property acquired the property from Fosters in 2007. Since work commenced on the site in late 2008, the precinct has undergone significant transformation – albeit with many of the brewery’s historically significant buildings remaining intact. 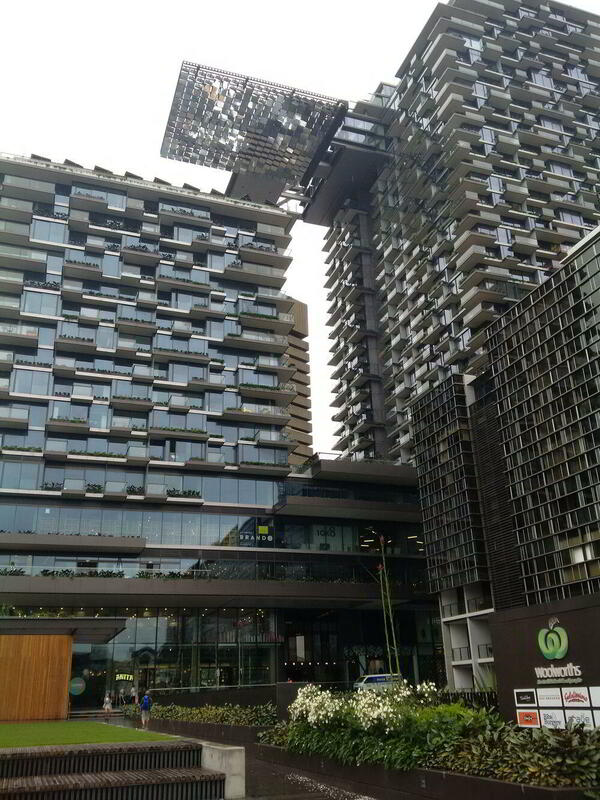 To date, the project’s showpiece residential towers – One Central Park – have been completed; as has the Central retail shopping centre and adjoining residential buildings in Park Lane. Once complete, Central Park will feature approximately 2,200 apartments and 925 student dwellings, accommodating around 5,300 residents. Additionally, some 25,000m² of premium commercial office space and 20,000m² of retail space will see 1,750 people also work within the Central Park precinct. 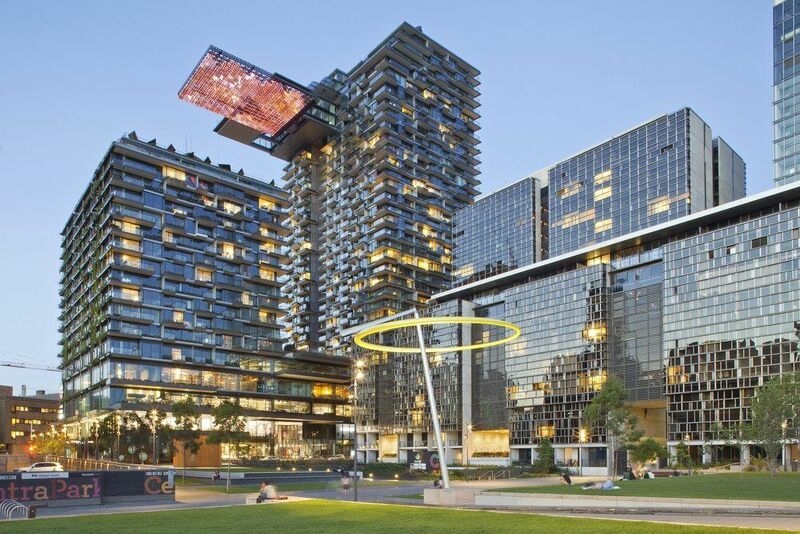 Chippendale Green, a 6,400m² public park at the centre of the development, only enhances the amenity. According to its developers, Central Park is striving to be Sydney’s most sustainable urban community. As well as achieving a minimum 5 star Green Star rating for each building, Central Park features a water recycling plant that treats rainwater, grey water and black water collected across the site, for re-use in laundries, toilets and garden irrigation. But it is Central Park’s own central thermal plant that will reduce the precinct’s carbon footprint. The first mixed-use development in Australia to incorporate such a facility, the central thermal plant has been funded by a $26.5 million Environmental Upgrade Agreement (EUA) that provides long-term, low-cost finance for environmental infrastructure. This was the first such agreement signed by the City of Sydney, and only the second to be signed in NSW. It features a 2MW trigeneration set operating on natural gas to produce low-carbon thermal and electrical energy. 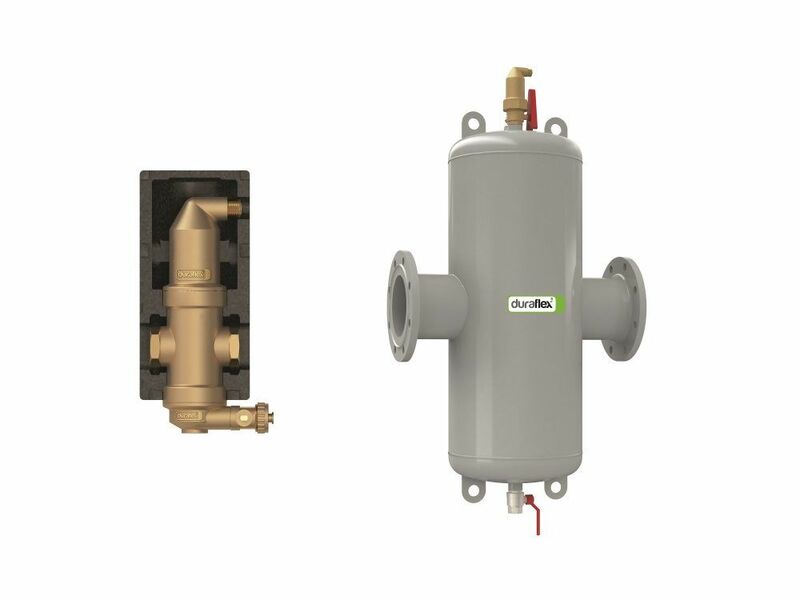 Centrally reticulated heating hot water and chilled water is supplied across the entire development for space heating, domestic hot water heating and space cooling respectively. The electricity generated by the plant is delivered to the site’s historic buildings, as well as student accommodation buildings. It is expected to reduce the site’s greenhouse gas emissions by 190,000 tonnes over the 25 year design life of the plant – equal to taking 2500 cars off the road for the same period. There are also plans to expand the plant in the future so as to provide electricity to neighbouring buildings, as well as the University of Sydney’s Broadway campus. Given its significant size, Central Park’s thermal plant and trigeneration set has been strategically located underground, beneath the historic Brewery Yard building adjacent to Chippendale Green. 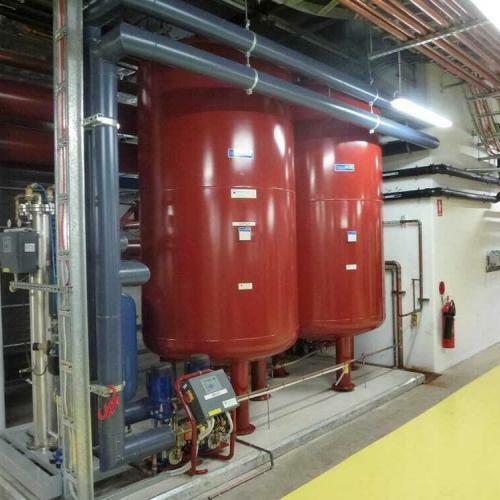 Designed by consulting engineering firm WSP, the tri-level subterranean plant room features the 2MW trigeneration set and boiler room on one level, chiller sets on another and all the supplementary pumping equipment on the third. 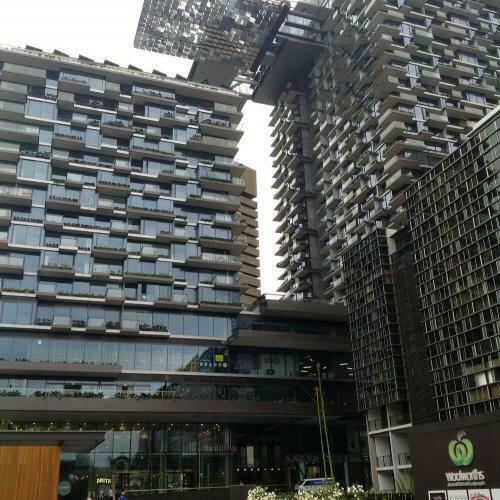 Heat rejection is provided by six cooling towers, architecturally incorporated into the rooftop of the mixed-use building, while emissions exhaust is achieved via a flue that has been cleverly designed within the building’s original brick chimney stack. 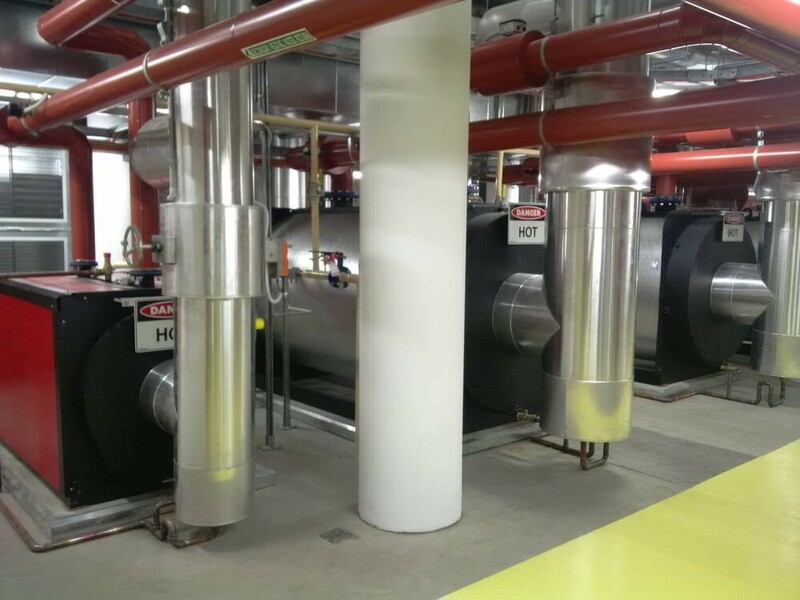 Having established a strong relationship on previous projects, Automatic Heating was contacted by WSP during the design phase of the project and commissioned to supply the hot water heating, expansion and deairation systems for the Central Park thermal energy plant. 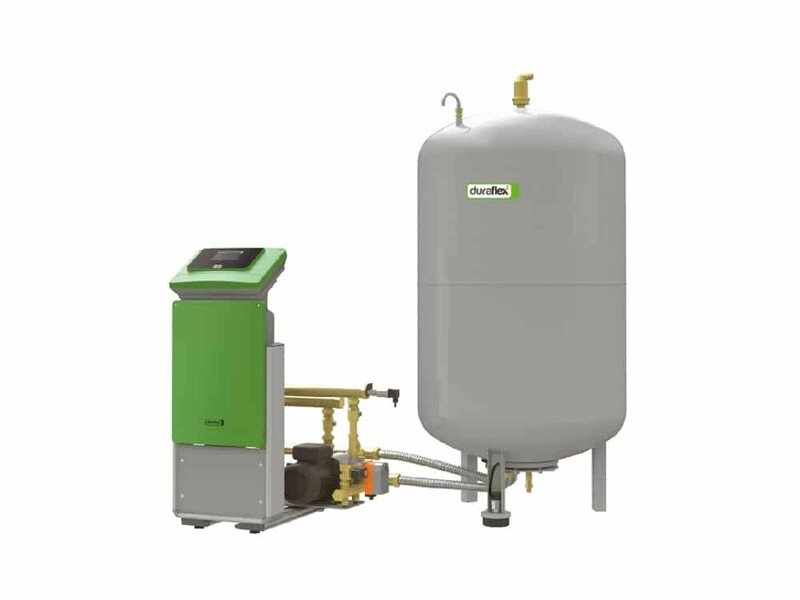 As Australia’s market leader of commercial boilers and associated equipment, Automatic Heating was uniquely placed to be able to offer both design advice and supply of world-class equipment to meet the site’s large heating hot water demands. “Energy efficiency and the environment was a big driver for the project,” says Cameron Plaisted, business development manager for Automatic Heating. According to Cameron, the brief required 6MW of heating hot water to be supplied by the plant, which would then be reticulated around the site to provide space heating and domestic hot water to the various buildings. 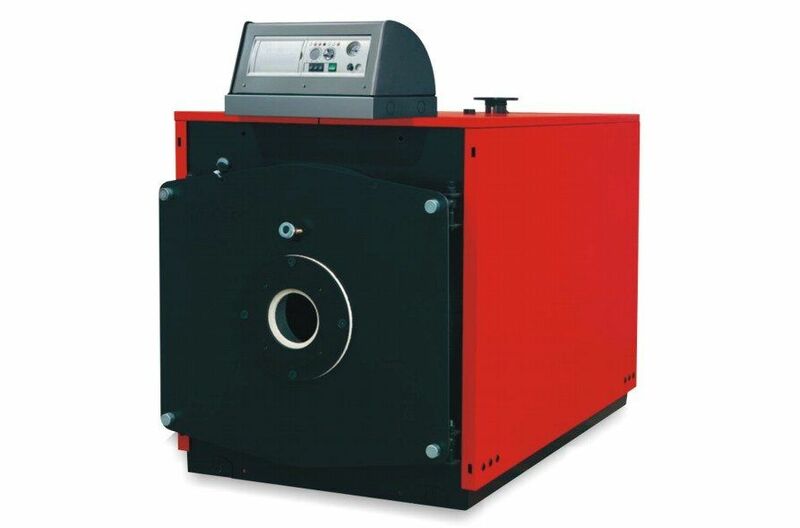 To achieve this demand, Automatic Heating prescribed three 2000kW Arizona hot water boilers. “Arizona hot water boilers are also a low pressure drop unit,” says Anthony Plaisted, director at Automatic Heating. 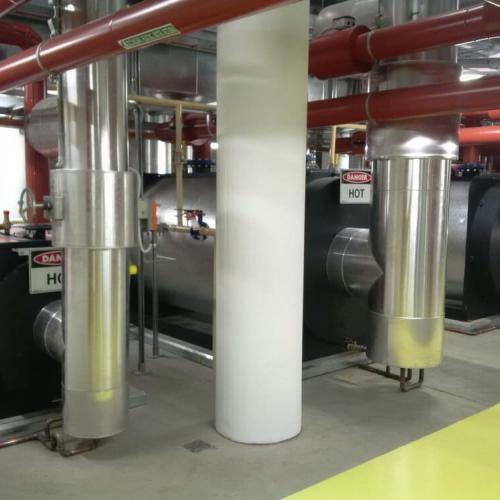 One of the major challenges to overcome in the boiler selection process was the fact that the Central Park site did not have a natural gas supply during construction, nor for its first year of operation. Instead, all plant was required to operate on liquid petroleum gas (LPG) piped to the plant room. Consequently, Enterprise burners were selected for the Arizona boilers, and converted to run on LPG – only possible due to their unique low-NOx burner design. “They operated that way for about nine months,” says Anthony. Natural gas was supplied to the site earlier this year, at which time the boiler burners were re-commissioned for natural gas. 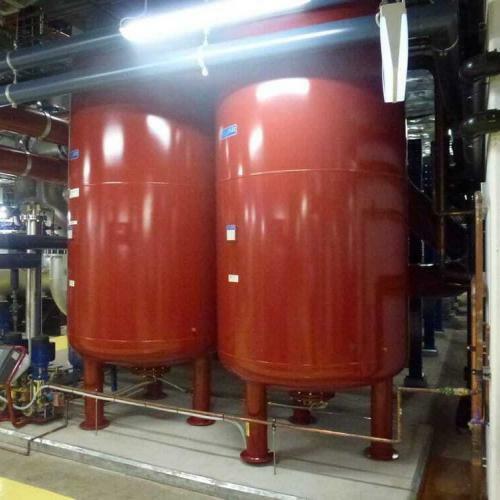 Given the size and volumes contained within the central thermal plant at Central Park, the correct selection of expansion system was critical. 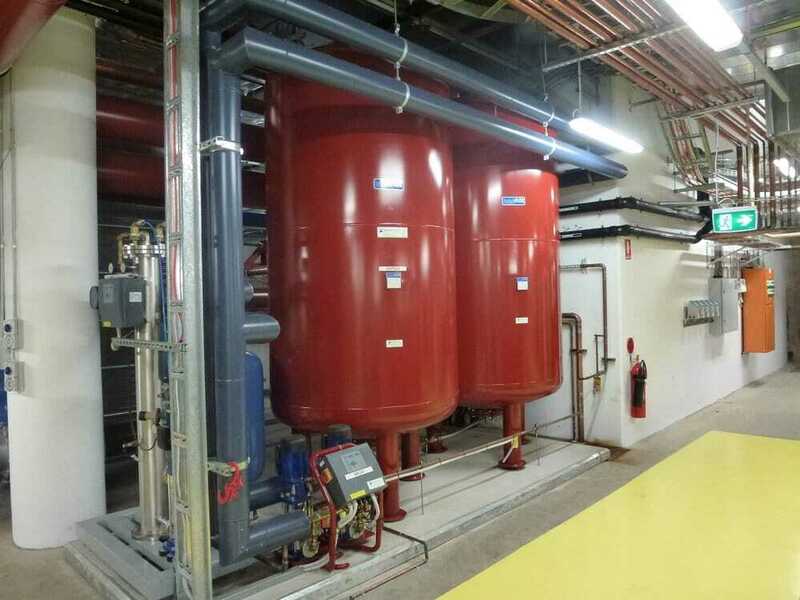 Automatic Heating supplied a German-made, pressure-less vessel that offered the project a range of benefits for the HHW and CHW systems. “Pressured systems and vessels require WorkSafe registration and high maintenance,” says Anthony. 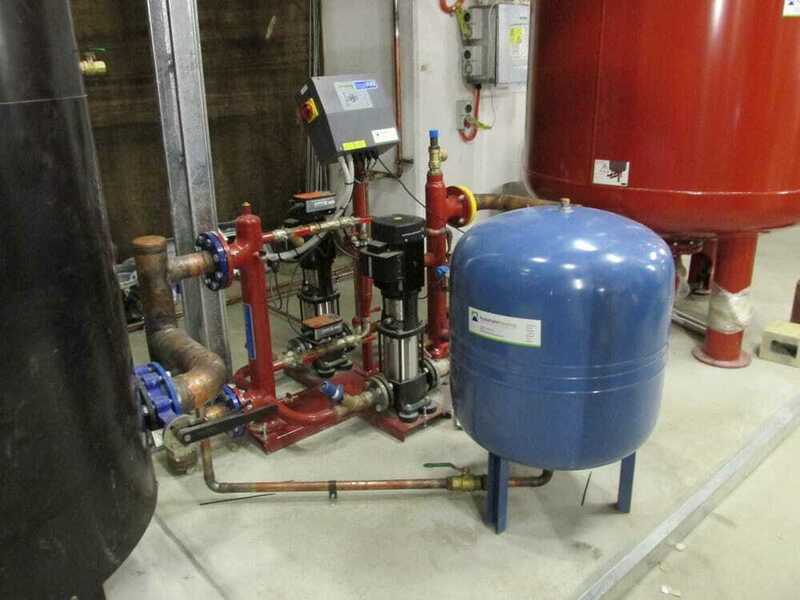 But with the pump-controlled Duraflex EcoPress pressurization system, pressure is maintained within 50kPa, with automatic water make-up and deaeration. A special data interface allows easy integration into building management systems (BMS). And because of its design, the system’s footprint is significantly reduced – an important feature where plant room space is limited. “So it saves on plant room space, requires less maintenance and doesn’t require registration as it operates as a constant pressure,” adds Cameron. 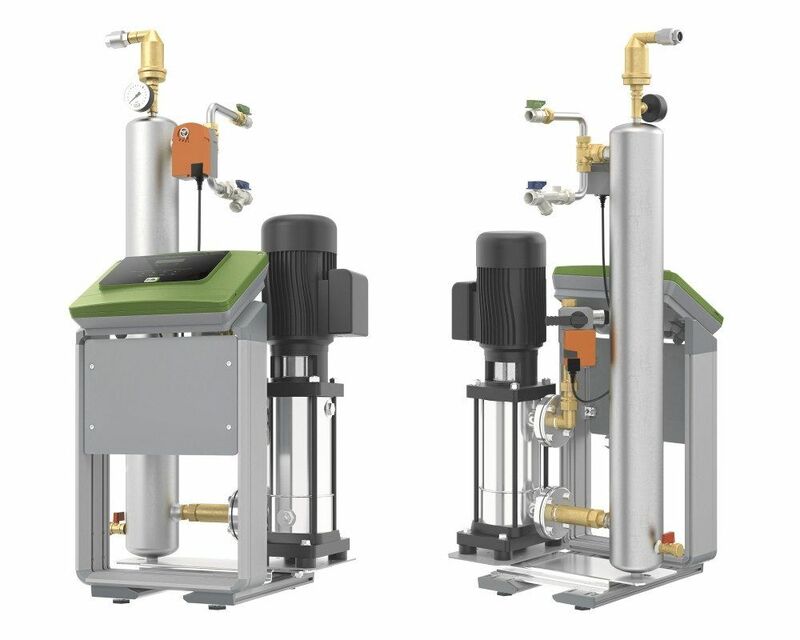 Vacuum deairators and dirt separators were installed in line, at a specified point of each system, to catch and remove dirt present in the system so as to reduce corrosion and improve efficiency. 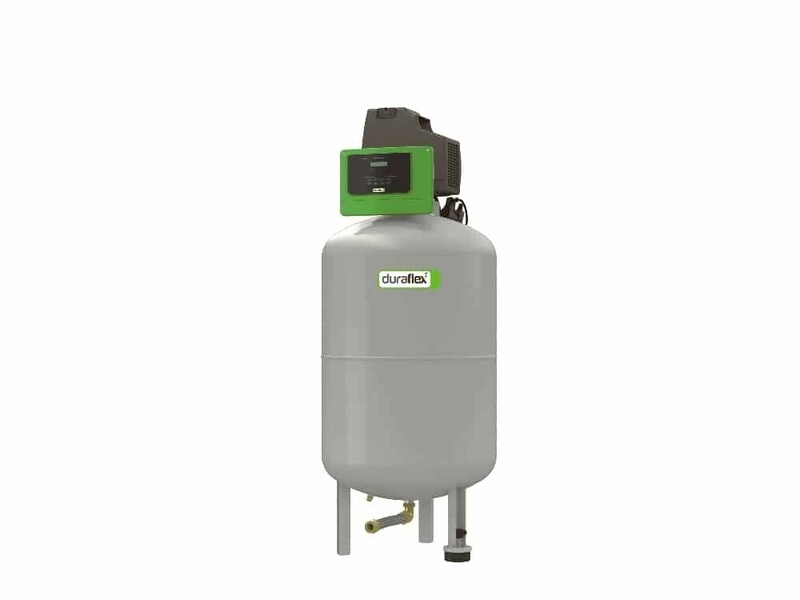 According to Cameron, even scarcely visible particles of dirt and sludge are caught in the Duraflex Ecotrap, where it drops to the bottom of the separator and is drained via a release valve. “In a system like that at Central Park, it is impossible to flush it properly once constructed,” he says. As well as being corrosive, dirt also affects the ability to transfer energy in heat exchangers and heating coils, resulting in reduced system efficiency. 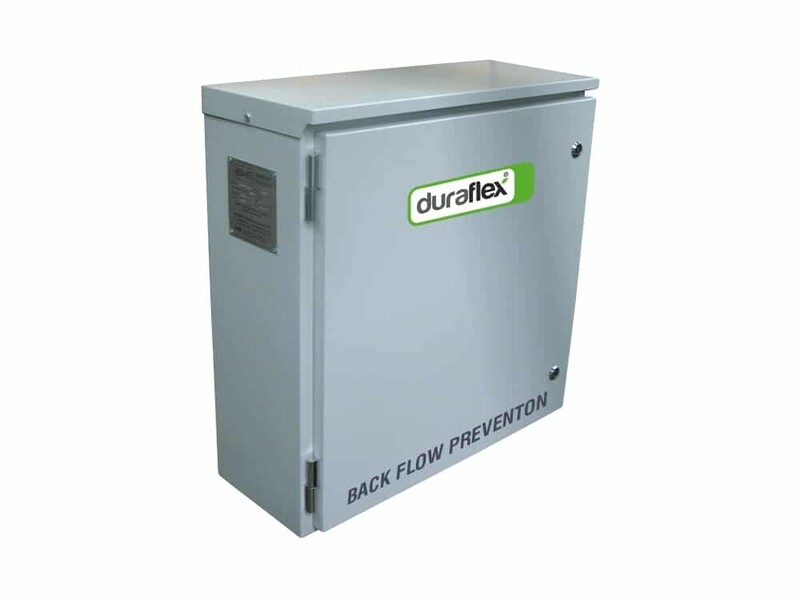 Vacuum deairation of the system is achieved by Duraflex Ecovac vacuum deairators that remove gases and therefore reduce the incidence of corrosion on the pipe work, which in this case is made up of steel and copper. “Vacuum deairation is used where we have high operating pressures,” says Anthony. Due to the elevated pressures in the Central Park system, conventional air relief devices were considered to be ineffective. Aside from the supply of equipment, Automatic Heating was also consulted over the design and function of the central plant’s exhaust flue. Conceived to be concealed within the existing, 70m tall brick chimney stack of the Brewery Yard building, concerns were raised as to its effectiveness, particularly in meeting regulations for the exhaust of noxious gases generated in the plant room. The central plant’s main contractor, Total Constructions, took over the flue design and brought Automatic Heating in to offer their expertise. While the height of the old chimney satisfied the need to discharge exhaust fumes at a high level so as to not affect residents living in the surrounding high-rise apartments, the temperature variances between exhaust gases caused concern. To meet code, the final design incorporated separate, stainless steel flues installed within the brick chimney. The flues were constructed offsite, and installed in separate parts, requiring a large crane and significant on-site coordination. With variances existing in the internal space of the chimney, the lower section was installed first via the base, with the remaining section lowered in from the top. “I believe we guided both the consultant and the builder through the process of how to achieve what they wanted, and how to make it work,” says Anthony. Construction and installation of Central Park’s central thermal energy plant and trigeneration set was completed in November 2013. 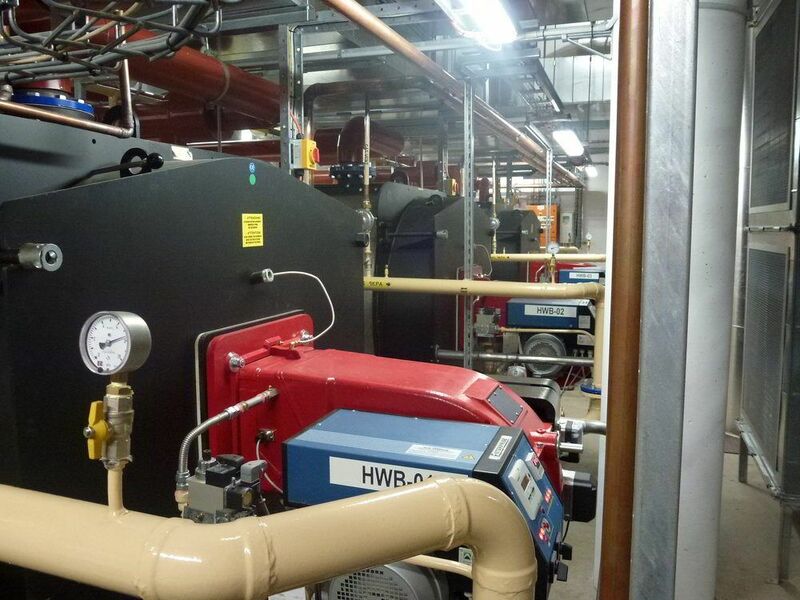 Automatic Heating attended the site during the installation of the boilers and associated equipment, which was completed by mechanical services contractor Austral Air Conditioning. 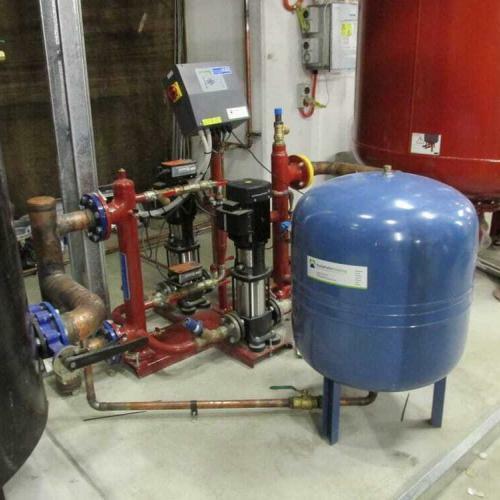 Automatic Heating then took an active role in the commissioning of the systems. “We commissioned the EcoPress expansion systems initially, so that the systems could be filled and the circulating pumps on the main plant could begin operating,” says Cameron. 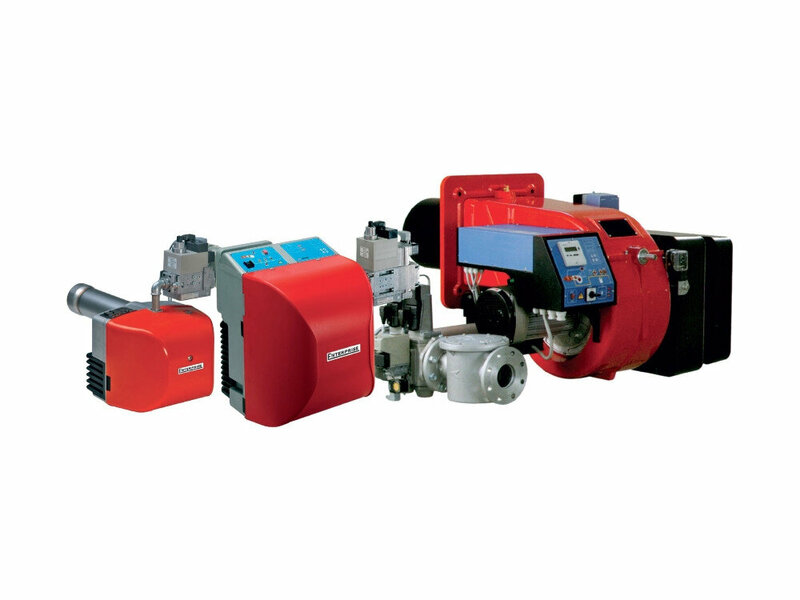 Once the system could be operated at pressure, the Arizona hot water boilers were commissioned on LPG, requiring the purging of gas through to the burner, and adjustment of the burner combustion to achieve low NOx conditions. 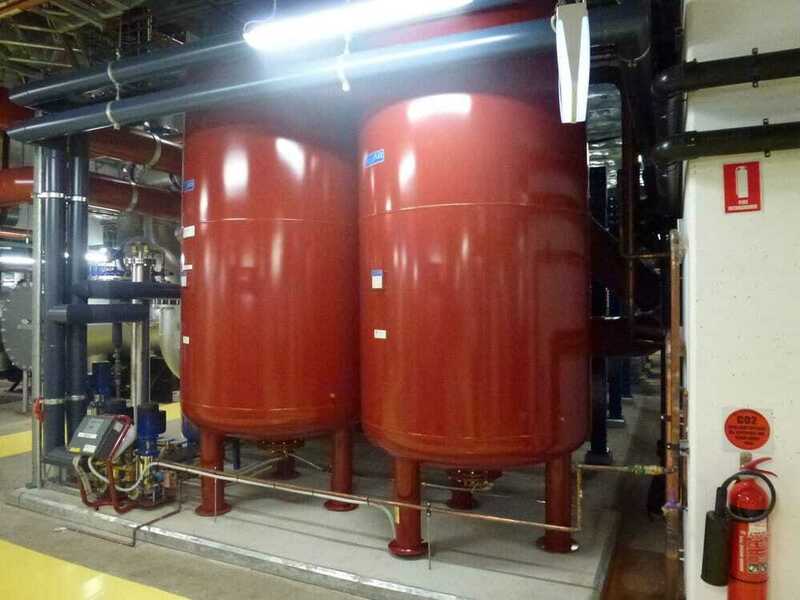 As the One Central Park residential tower had already been completed and was partially occupied, the final element of commissioning saw the building’s connection switched from a temporary plant to the new central thermal plant. 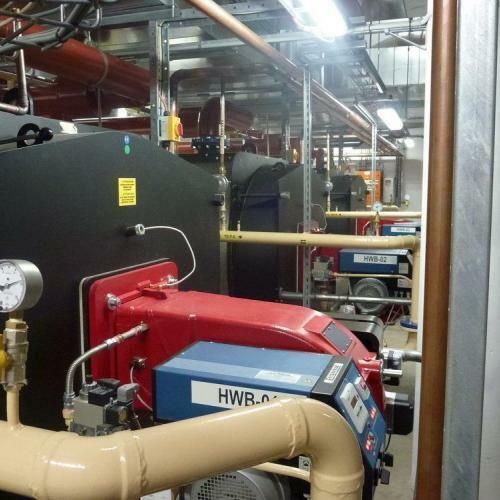 Some months after commissioning, however, Automatic Heating were asked to attend site and advise the central plant’s manager on the efficiency and temperature stability of the boilers, which was thought to be below specification. After analysis of the control sequencing, it was found that the boiler plant had been operating according to the flow rate rather than temperature, against specification. Automatic Heating remains involved at Central Park, providing regular monthly maintenance on the boilers and expansion systems.